Welcome to KidsTown! Your children are very important to us! 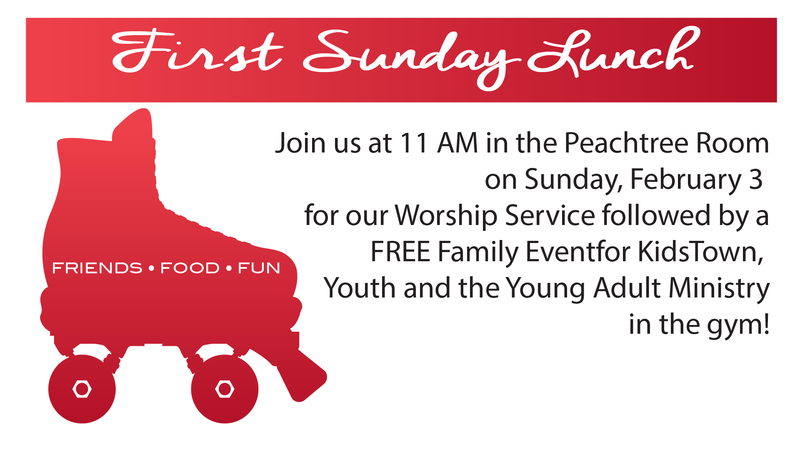 The 5th Sunday of the month, our grade school children are invited to help lead in worship and experience worship as a family in the Peachtree Room. We have activities planned each month as well! For more info, contact ADurden@Wieuca.org. Beginning Wednesday, January 9 from 6 - 7 PM! 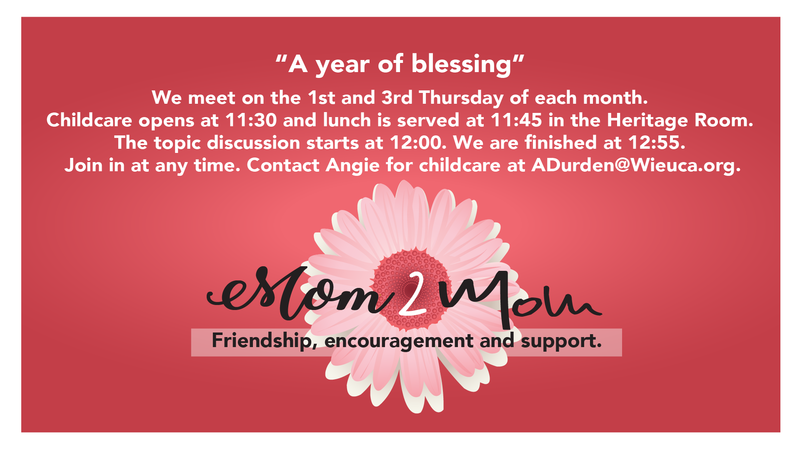 Our Mom 2 Mom class meets @10:30 in the Heritage Room for coffee and muffins! January 17, February 7 and 21, March 7 and 21 and April 18 are the remaining dates for this school year. We meet on the 1st and 3rd Thursday of each month. Childcare opens at 11:30 AM and lunch is served at 11:45 AM in the Heritage Room. The topic discussion starts at 12:00 PM. We are finished at 12:55 PM. Lunch is $5 per meeting and 1st time book fee is $5. JOIN ANYTIME! Have questions? ADurden@Wieuca.org for more info on any KidsTown or Ladies' events!